GM is introducing about 20 new vehicles in the United States this year, including profitable Chevrolet Silverado and GMC Sierra pickups. Ford showed a truck concept -- dubbed the Atlas -- at the Detroit auto show this year that hints strongly at a bolder, lighter design for the next F-150. There's no question Toyota feels some heat on the styling front and the latest example is the Furia concept -- a look at the next Corolla, the company's top-selling model worldwide. Up close, the Furia reminds some of the Hyundai Elantra and Kia Forte -- two small cars that have gained new respect from consumers. Some observers see the influence of Scion on the Furia, as well. No matter, Toyota seems determined to put some sportiness and mojo into its next compact car and draw a new wave of young buyers to what it bets will not be your father's Corolla. If you want to be a major league player in the United States -- VW makes no secret about its aspirations -- you have to play in the volume segments. With the CrossBlue concept, VW is targeting the family crossover field dominated by the Toyota Highlander, Ford Explorer, Honda Pilot and Chevrolet Traverse. Look for it in time for the 2015 model year. The production model is expected to seat up to seven passengers and be assembled in VW's Tennessee assembly plant. In a sign of how competitive the entry-level sport sedan market is becoming, the BMW 3 series will be offered with a less-powerful engine and lower base price. Look around the show floor for all the reasons why: a new Lexus IS, the Infiniti Q50 and the Cadillac ATS, the 2013 North American Car of the Year. And then there's the Mercedes-Benz CLA, a sedan with sporty coupe styling coming this fall. Nearly a year after the all-new 3-series line went on sale, the 320i sedan, left, hits showrooms in late April, at $33,445, including shipping, to start. That entry-level price sheds some $4,300 from the base 328i sedan. BMW is determined to keep the franchise tag on its prized 3 series -- the world's top-selling luxury model -- even if it means lowering the base price and shedding some horsepower. There's a new halo car coming to some Chevrolet showrooms and the extent to which the 2014 Corvette Stingray shines will determine how many new consumers GM's volume brand can draw. Chevrolet is counting on the styling to draw a younger wave of sports car enthusiasts and keep the once-vulnerable Corvette franchise -- now 60 years old -- humming for decades more. Time will tell to what extent the new Corvette inspires, rallies and galvanizes GM's product development teams and finally buries the memories and stigma of the company's 2009 bankruptcy. To overcome any quality concerns with the Cadenza, its first luxury sedan, Kia has added scheduled maintenance at no extra charge for 36 months or 37,500 miles on top of its standard 10-year/100,000-mile new-car warranty. Lincoln's fortunes hinge on a wave of coming new models and the MKC compact crossover may face the biggest burden. Ford's luxury brand believes it's one of the first to market in the growing compact luxury crossover field with the MKC. It's an uphill battle for Lincoln in an increasingly crowded luxury marketplace, but if the brand reaches the summit, the MKC may do most of the pushing. In addition to the new styling, the Q50 has been packed with almost every new technology that Nissan has in its arsenal. 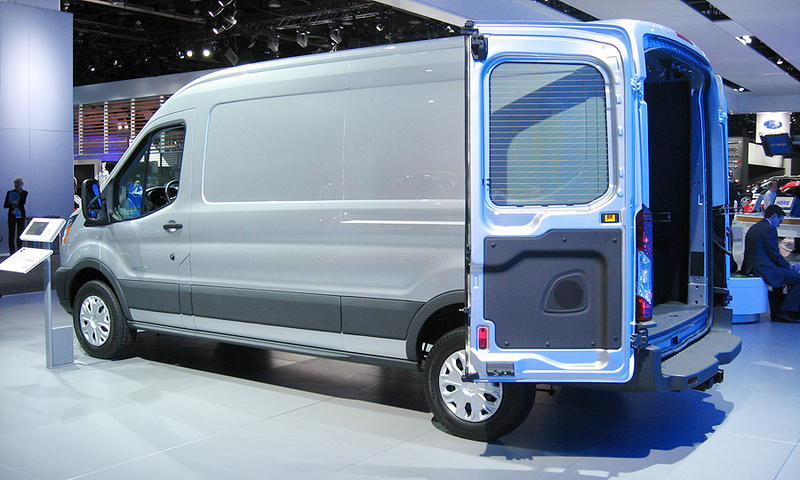 Don't confuse the new Euro-styled Transit van -- the big brother in a growing family of commercial vans from Ford -- with the smaller Transit Connect Wagon and Transit Connect Van. The larger Transit van marks the official end of the Econoline, a Ford nameplate marketed since 1961. By the end of the year, Ford plans to be churning out thousands of Transit vans at a renovated Kansas City plant. Ford will offer a standard 3.7-liter V-6 engine, the same 3.5-liter EcoBoost engine used in the Ford F-150, and an all new 3.2-liter Power Stroke Diesel. Ford says the smaller gas and diesel engines will deliver a 25 percent improvement in fuel economy. A kit for compressed natural gas will also be offered.